Boeing Co. was sued on behalf of a passenger killed in this month’s 737 Max plane crash in Ethiopia and orders for the troubled aircraft wavered in Asia, deepening the planemaker’s legal and financial woes. Chicago-based Boeing is under intense scrutiny after two crashes since October killed 346 people. As the company finalizes a software upgrade for the grounded 737 Max, it’s fighting to hang onto some customers whose confidence in the best-selling jet has been shaken. 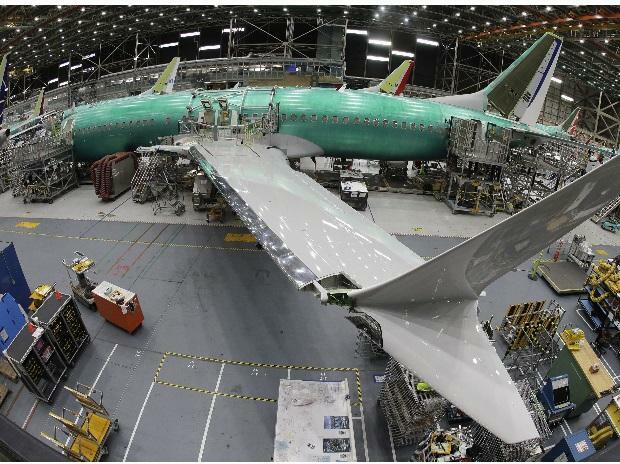 Boeing is also facing a criminal probe into how the plane was originally approved to fly. The lawsuit, filed on behalf of the estate of Ethiopian Airlines passenger Jackson Musoni of Rwanda, claims the 737 Max 8 isn’t safely designed. The complaint follows earlier suits against the company over an October crash in Indonesia involving the same model. A Boeing spokeswoman declined to comment on Thursday’s complaint in a federal court in Chicago. “The subject accident occurred because, among other things, Boeing defectively designed a new flight control system for the Boeing 737 Max 8 that automatically and erroneously pushes the aircraft’s nose down, and because Boeing failed to warn of the defect,” according to the complaint. Late on Thursday, flag-carrier airline Garuda Indonesia said it’s going ahead with plans to cancel a $4.8 billion order for 49 Max 8s. Still, Garuda is sticking with Boeing and has asked the manufacturer for different aircraft. In Vietnam, Bamboo Airways agreed to buy as many as 26 narrow-body jets from Airbus SE, just a month after saying it was considering ordering as many as 25 Boeing 737 Max planes. Boeing is preparing to submit final paperwork to U.S. regulators for a software upgrade for an anti-stall countermeasure on the 737 Max that investigators said in a preliminary report repeatedly pushed the nose down on the Max operated by Lion Air. In that case, the jet went into a dive prior to crashing into the Java Sea in October. Authorities are probing whether the system was a factor in the March 10 crash of the Ethiopian Airlines jet, which regulators said behaved similarly to the earlier downed plane. Boeing faces the prospect of substantial payouts to the families of passengers if it’s found responsible for both the Indonesia and Ethiopia crashes. But legal experts say the second one could prove even more damaging for the company. That’s because plaintiffs will argue the manufacturer was put on notice by the earlier tragedy that there was something dangerously wrong with its planes that should have been fixed. The single-aisle Max family is the Chicago-based planemaker’s largest seller and accounts for almost one-third of the company’s operating profit. The crashes have put Boeing and the FAA under withering scrutiny, with multiple investigations being launched into the agency’s certification of the 737 Max and its reliance on FAA-designated company employees to certify the safety of many of the planes’ functions. After the FAA grounded the 737 Max jets in the days following the Ethiopia crash, the manufacturer said it still has “full confidence” in the plane. Boeing Chief Executive Officer Dennis Muilenburg said the company was doing everything it could to understand the cause of the accidents, deploy safety enhancements and ensure that no more crashes happen.